1.1. Ability to Make General Directions - These General Directions may be cited as the Cowes (Isle of Wight) General Directions 2013 (and are referred to as “the General Directions”). The General Directions are made pursuant to and may be amended from time to time by the Cowes Harbour Commissioners in the manner set out in The Cowes (Isle of Wight) Harbour Revision Order 2012 (“the HRO”). 1.3. 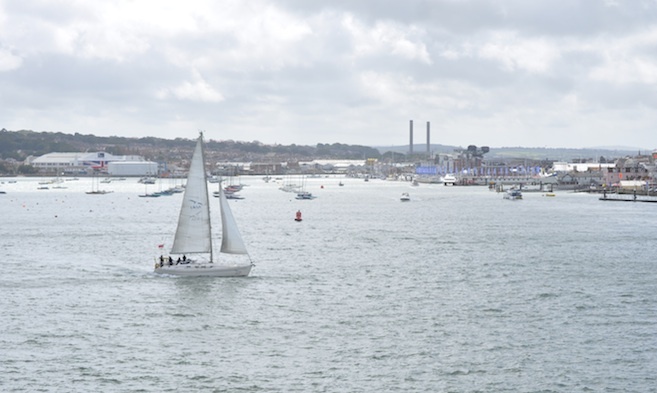 Application - General Directions are rules issued by the Commissioners and they apply to all Harbour users, including those on the water within Cowes Harbour Commissioners’ jurisdiction and/or on any of the Commissioners’ property. 1.4. Special Direction - A Special Direction made pursuant to the HRO will normally be a verbal instruction to one or more Harbour users requiring immediate action. 1.5.2. General Directions shall take precedence over any Mooring Licence. 1.6. The plans contained in Schedule 1 of these Directions are for identification purposes only and in the event of any conflict between the definitions and such plans, the definitions shall take precedence.